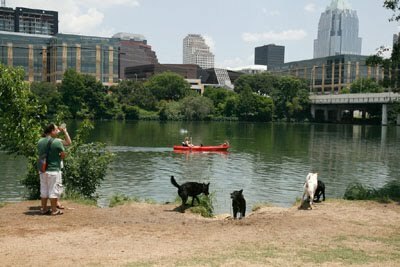 There may be hope yet for a very popular dog park lying in the shadow of downtown Austin. KVUE News learned on Wednesday that the Parks and Recreation Department is now looking at other options which could include keeping the Norwood Dog Park open or relocating it to one of two alternate locations neither of which were disclosed on Wednesday. Also on Wednesday evening, the Austin Animal Advisory Commission voted to approve the formation of a working group or a subcommittee of commissioners and citizens who plan to begin a dialog with the Parks and Recreation department and neighbors. The sole purpose is to try to keep the Norwood Dog Park open or to find alternate locations for it. “Dog parks, especially fenced dog parks, are very important. They could be the difference between someone keeping their animal or relinquishing it,” said David Lunstedt, an Animal Advisory Commission member. The working group’s first meeting is Sunday, June 19.